Shout4Music.com interviewed Pye Hastings with questions about the deluxe edition of In The Land of Grey and Pink his early influence line-up changes and the future of Caravan. Hello there! How’s everything going with you and the band and what are you currently up to? I am fine thank you and the band is firing on all cylinders. We have just returned from two festival gigs in Portugal and Tel Aviv Israel which both went down really well. The gig in Tel Aviv was particularly encouraging as the audience were mostly young fans. I’d say the range of ages went from 13 to 45 yrs and they sang along to all the songs which is quite a feat as I don’t remember all the words without a crib sheet. A special three-disc deluxe edition of the ‘In The Land Of Grey & Pink’ has just been released to mark the 40th anniversary of its 1971 release. 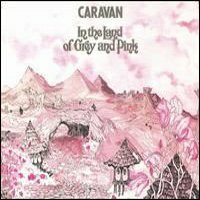 How does it feel to know that 40 years later the album will potentially be heard and loved by a whole new generation of Caravan fans? I am looking forward to seeing how this edition is received and to whether it appeals to a younger age group than just our regular fans. I have been told that the advance orders are very good particularly for the limited edition of the album on vinyl which I believe has sold out. Mind you “limited Edition” I suppose means however many the record company decides to press. Going back to the very beginning how did you first get into music and what was it that initially made you realise that it would be the path you would inevitably take? My father was a very good non-professional piano player and my brother “Jimmy” is one of the best flute and sax players I know so I had some hard acts to follow but I got my love of music from my parents and my interest in music from my brother. Until I was sixteen I didn’t have any leaning towards music apart from enjoying it and then I met Kevin Ayers who taught me my first guitar chords and that was the beginning of the road for me. I got my first guitar when I was seventeen. Growing up what were your main influences? And have you ever had a major influence that the rest of the band haven’t shared in the same way? My main influences were my brother’s tastes which was almost entirely big band Jazz like Count Basie and Duke Ellington. This undoubtedly was different from the other members of the band. However when I discovered Rock & Roll there was no saving me. 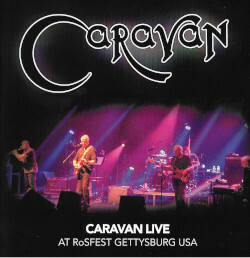 Caravan were obviously a huge part of the Canterbury Scene and often credited as one of its founders. Is it an association you’ve always embraced or have there been times when you wish you could have separated yourself just a little? Caravan and Soft Machine would probably not have existed if it hadn’t been for the opportunity of playing in Brian & Hugh Hopper’s band called the Wilde Flowers. I think that Brian should be regarded as the Godfather of the Canterbury Sound because both Caravan & the Softs started out in the Wilde Flowers playing covers of R&B music and some originals written by Brian & Hugh. It was here probably that we all developed the taste for writing our own music. Although I am proud to be associated with the Canterbury sound I feel in some ways it can be limiting in that you can be criticised for straying too far from what has gone before. But what the hell you should not get up on the stage if you don’t like being criticised. It goes with the territory don’t you think? As a band you’ve gone through quite a few line-up changes over the years. How difficult was that to deal with and were there ever times when you thought the band wouldn’t make it? Changing the line-up of a band can on one hand be quite traumatic and on the other hand be very stimulating. When a truly gifted player like Dave Sinclair leaves the band it creates a huge hole that is almost impossible to fill but on the other hand it opens up the opportunity to try different directions etc. Clearly when somebody leaves a band you will lose some fans but the core strength of any band must be the songs so provided you keep writing songs to the same standard then you will undoubtedly appeal to new people and maybe regain some of the old fans. I know you’ve got a couple of live dates coming up in the next few months. How are you feeling about them generally? The crowd response will surely be amazing! We are all looking forward to playing very much. We have not been around for the last 5 years because Richard Coughlan our drummer has been enduring a period of unspecified illness which has left him unable to take on the strain of doing a full set with the band; so we have very fortunately been able to recruit Mark Walker who will take over the main duties of drumming leaving Richard to join us on percussion when he feels well enough to. Probably working in engineering of some sort. All music is an obsession to me regardless of type. The number of dodgy guys who trawl the music business looking for new ways to rip off your hard earned money. When it ceases to be fun either get rid of somebody or get out yourself. As above just enjoy it as much as you can. None of us are Nazis. The recording industry finally sorting itself out in terms of piracy etc so the artists can see a way forward. This entry was posted in Interviews and tagged Pye Hastings, S4M, Shout4music.com on June 3, 2011 by caravan.